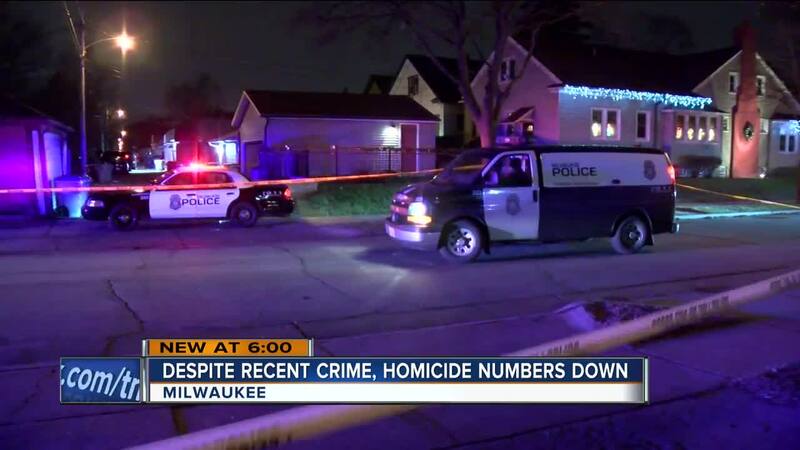 Milwaukee Police said the total number of homicides across the city is down, by 20 fewer, than at the same time last year. The 2018, year-to-date total is 98 as of Thursday. That's compared to 118 on the same day in 2017. "I would love to live in a world where we get to zero homicides," said Ajamou Butler, founder of the organization Heal the Hood. "But that doesn't mean I'm not going to celebrate 20 fewer homicides as well." Heal the Hood does outreach at more than a dozen Milwaukee schools to provide guidance and mentoring to youth. Butler said the group also organizes free block parties in some of Milwaukee's roughest neighborhoods - recently as part of a partnership with the City's Office of Violence Prevention. Butler said the idea behind Heal the Hood is to promote positive programming and help steer young people away from bad decisions and violence. "A lot of the children I deal with on a daily basis, nine times out of 10 they've suffered some type of violence," Butler said. He said the statistics from MPD showing fewer homicides are encouraging. "I love to hear about that type of progress. It tells me to keep doing what we're doing," Butler said. Teenage students at Milwaukee Collegiate Academy, one of the schools where Heal the Hood maintains a presence, said violence across the city is often distracting. "You've got to watch your back everywhere you go," said Kijon Harris. "Milwaukee can be a safe place, and in certain areas it is a safe place," added Nazir Ali Powells. "But I still feel we can do more as a community." High school senior Raheem Crittenden said he thinks programs like Heal the Hood make a significant difference. He believes other young people in Milwaukee should try to focus on the things he stays focused on. "Having good people around me, surrounding myself with positivity, that's what helps me stay focused," Crittenden said.